U.S. employers may petition for skilled or unskilled alien workers to meet temporary or seasonal needs in positions for which qualified U.S. workers are not available. It is important to note that the employer's need for such services must be temporary. There is currently an annual cap of 66,000 visas for H-2B workers. Your spouse and unmarried children under the age of 21 are allowed to join you in the U.S. under the H-4 status. 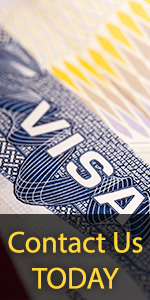 Dependents are not permitted to work, unless they personally qualify for a work visa. The first step is to apply for a Temporary Labor Certification from the U.S. Department of Labor (DOL). You must meet all requirements of the DOL, and you must prove that there are no U.S. workers available for the proposed position. An approved temporary labor certification. Proof of your qualifications for the position. An approved temporary labor certification. Proof of your qualifications for the position. A letter detailing the nature of the position. Proof of the temporary nature of the position. A letter detailing the nature of the temporary need for foreign workers. they come from places that are served by the same U.S. consulate, or, if visa exempt, they will enter at the same port of entry.